Chris Campbell will graduate on May 13 in front of his family and friends, earning a bachelor's degree in business administration in hospitality and tourism. In 2015, Campbell earned his associates of applied science in culinary arts. His goal is to one day open his own restaurant back home in Preston, Georgia. Campbell grew up cooking with his mother and grandmother, which is where his love and appreciation of food developed. "Everything I learned about food is from my grandmother and her Southern cooking. I remember picking field peas on Sunday mornings with her," Campbell said. "What I have learned about life has been in some way centered around food." Campbell had a conversation with his father one day about his plans for the future. His father questioned why Campbell wanted to come back to their small town to open a restaurant, saying there weren't many opportunities available. The lack of opportunities is the very reason why Campbell wants to start a business in Preston. "I want to show kids that there is more to life than wanting to be a doctor to earn money. If you love what you do, then the money will come," Campbell said. "I just want to be an outlet for kids just like me, those without much interest in sports—more artistic." Campbell hopes his restaurant will be a foundation for his family, friends, and community. "Many see where they've come from as a burden but I'm proud of where I come from—red clay, bare feet­—I embrace that. Why not go back to something that I know and help the community?" Campbell said. Campbell plans to have a soul food restaurant featuring "Floribbean" cuisine—a blend of flavors and cuisine representative of foods original to Florida and the Caribbean—as a special of the week. "Back home, they're deep rooted in Southern food and have strong connections to soul food," he said. Campbell came to the College of Coastal Georgia because he wanted a change and a challenge. He learned about the culinary program and believed the College was located in an ideal spot—far enough where he can experience something different but not too far away from home. Campbell found a place where he could live up to his maximum potential. Campbell believes in pushing himself. 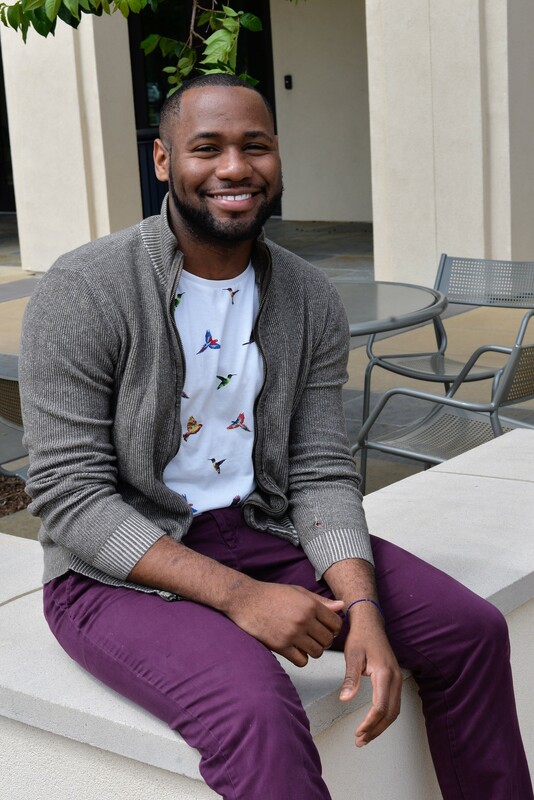 He is currently a resident assistant (RA) at the College and has always worked three jobs at the same time. Campbell has worked at Seasons of Japan, the King and Prince resort, Jekyll Island Club Hotel, The Farmer and the Larder, and Indigo Coastal Shanty. In addition to being an RA, Campbell currently works at Halyards Restaurant and is a barista at Wake Up Coffee Co.
"I feel we're at our maximum potential when we have to balance multiple things in life," he said. "I push myself to the point where I see what I can take on, and how far can I go to make sure my time is fully occupied and used wisely." At the College, Campbell participated in the CHEF Club, American Culinary Federation, SlowFoodUSA, Chefs Collaborative and the Golden Key Honour Society. His drive to push himself comes from his family. "My family had to struggle for everything. One time we lived in really bad housing and I saw how my parents worked through it. Every house we lived in would get better than the last one. I saw that if you put in the hard work it will eventually pay off," Campbell said. "My mom and grandmother taught me to be strong. My dad taught me the importance of being strong enough to be vulnerable and not be afraid to show love." People often tell him he's crazy for having so many jobs at one time, but Campbell said his grades never suffered. "I always made sure that I was on top of my schoolwork. School was a priority. If anything did suffer, it was giving myself time to take care of myself," he said. Campbell described his college experience as a lesson. "I realized that taking care of yourself is a must. You can study and work, but it you don't take care of yourself then you're missing out. It helps your mental health," Campbell said. "There was a moment my junior year when I realized that if I didn't take a step back and say no to some things, that I would completely breakdown. Don't be afraid to seek counseling. I definitely advise students to seek counseling if they're going through a hard time." He's also learned the importance of showing compassion to others. He would challenge himself to encourage five people one day, then 10 the next day. "People remembered me from the simple compliments I gave them," he said. "You just need to show others love when it's least expected." The day after graduation Campbell will continue to live and work in Brunswick. The plan is to continue working at Halyards and Wake Up Coffee for a year or two as he networks and decides his next step. Campbell is considering pursuing a master's degree in crisis management or a related field, or pursue certifications in business continuity and disaster recovery. "Knowing the basics in how to address crises will allow me to be a better chef and restaurant owner. I want to understand every area, so when it comes down to owning my own place, there's nothing that will surprise me, whether it's a natural disaster, or handling employee turnover," he said. What Campbell will miss most at the College will be interacting with his residents, who he's watch grow over the last two years. He'll also miss his friends and his "very cool" professors.